The Tidal Wave Shawl already has one video tutorial showing how to make the main portion of the pattern. But what about the border? 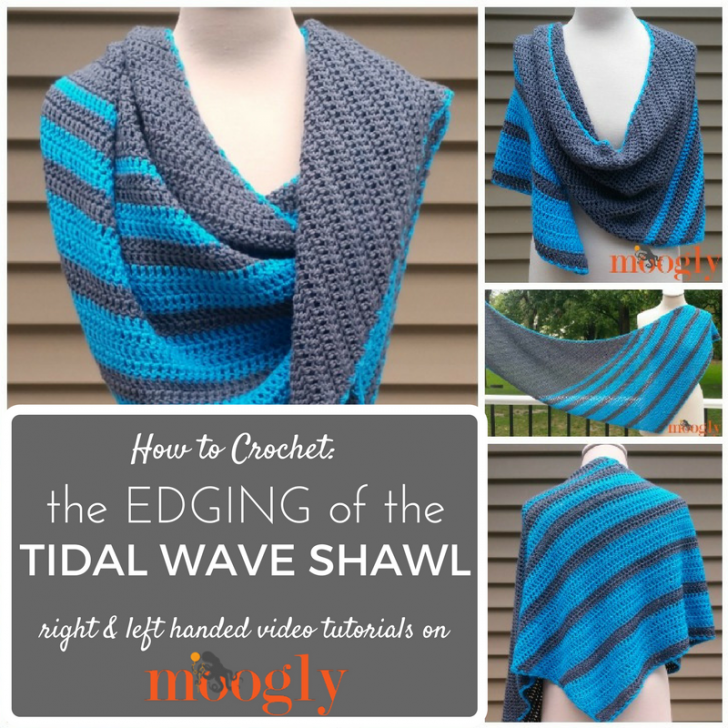 Your questions will be answered in this one – here’s how to crochet the Tidal Wave Shawl Edging! 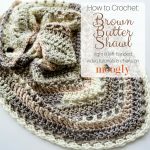 Basically, it’s a ch 2 and sc repeat all the way around – the trickiest part is knowing what to skip and where to put those single crochet stitches! And here’s another look at that drawing from the video – demonstrating how the shawl grows, and what each side means! The drawing is from the right handed perspective, but I hope the idea is clear for lefties too (if not, please let me know and I’ll add a left-handed drawing as well)! 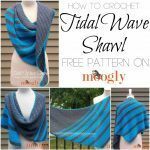 I hope that helps you crochet the complete Tidal Wave Shawl! If you’re looking for the tutorial for the main part of the shawl, click here. Thank you so much for watching, and if you have more questions – or if this video helped you – please let us know in the comments! 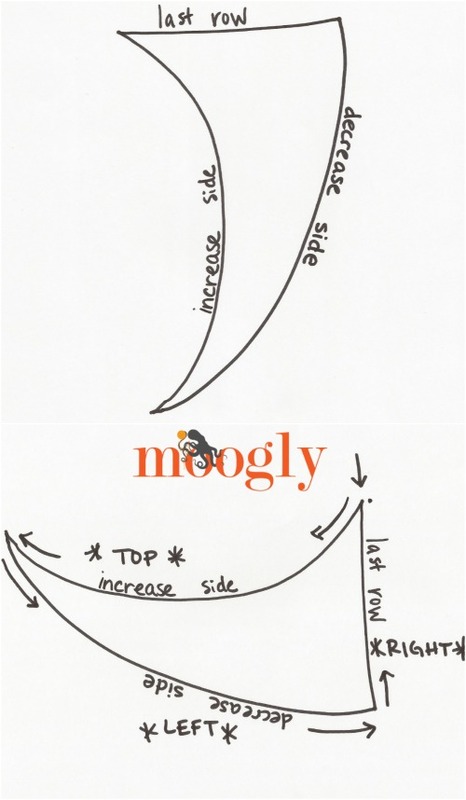 You can follow Moogly on Facebook, Twitter, G+, Pinterest, Instagram, and Tumblr!